New entry steps from the back of the Lower Town Hall are a major new addition which will improve visitor access from Druitt Street. Photo Greg Piper. 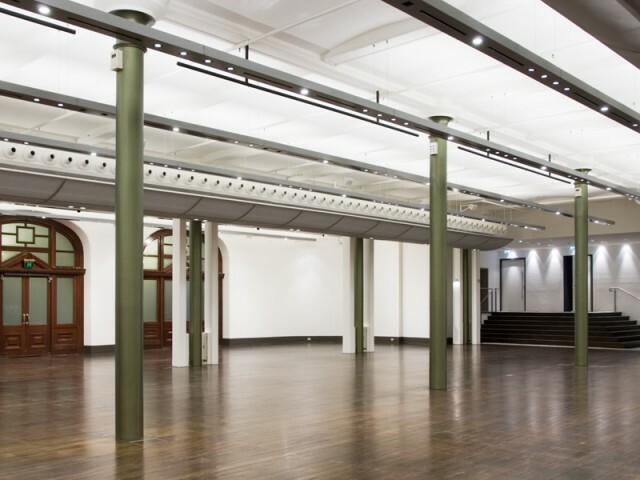 The upgraded Lower Town Hall a popular multi-function space in the heart of the city. Photo Greg Piper. The installation of air conditioning to Lower Town Hall will significantly improve the comfort of patrons and has been sensitively designed to blend in with the historic interior. Photo Greg Piper. 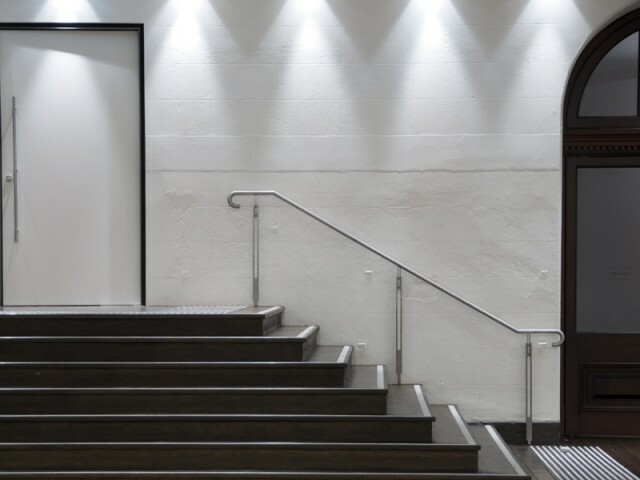 The recent upgrade of the Lower Town Hall has restored one of Sydney’s most accessible public venues and the installation of state-of- the art facilities will ensure this space will again become a popular community resource right in the very heart of the city. The large space at ground level below the Centennial Hall is known as the Lower Town Hall. This hall, punctuated by the reinforced columns which support the floor of the Centennial Hall above, was popular throughout the 20th century as a multi-purpose venue, hosting a wide variety of events including union meetings, state and local government elections, trade and community exhibitions and demonstrations, and public health clinics. 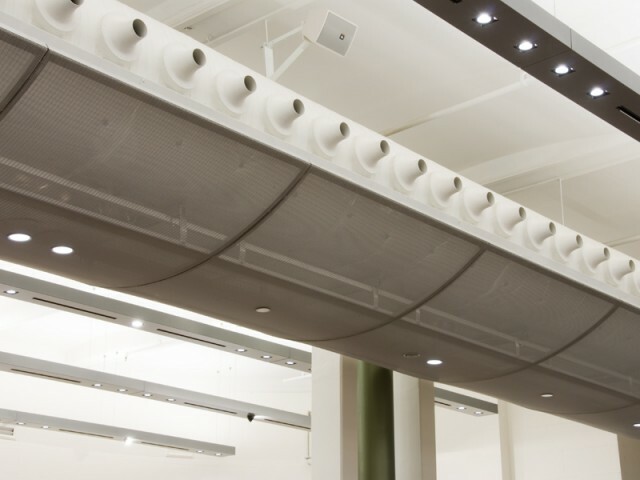 The recent upgrade works to the Town Hall including the installation of air conditioning, flexible staging and seating options, improved lighting and acoustics and the reduction of column intrusion into the open space to create a much improved multi-purpose venue space for exhibitions, concerts, meetings, and community activities.